Every year in Munich, Oktoberfest draws in millions of tourists to the city for a 16-day celebration. Although it’s known as a beer festival to many, Oktoberfest is actually a celebration of Bavarian culture – with music, amusement rides, parades, and select breweries thrown into the festivities. It’s been a national tradition since the early 1800s, which is why it’s somewhat controversial to say that Oktoberfest is not the only place and time to score some choice Bavarian brews. But even though it’s an unpopular opinion, it has to be said: there are tons of other places in Munich and Germany where you can sample the best that Bavaria has to offer. The sheer variety of the over 200 different craft beers that Tap House carries is a testament to German efficiency. Ales, top-fermented beers, barrel-conditioned brews, stouts, porters, and other brews by local makers await in this Munich craft beer paradise. Every connoisseur who’s been to Tap House will likely have a different answer to the question of which particular beer is their favorite due to this place’s vast variety and high quality of beers. If you’re unsure of where to start — chili con beer is recommended by many regulars. In 1872, Weisses Brauhaus founder Georg Schneider was the first person to be awarded by King Ludwig II of Bavaria the privilege of brewing wheat beer. To this day, the Schneider family still owns and manages Weisses Brauhaus, and you can sample their same founding wheat beer recipe from 1872 under the name Schneider Weisse Original. This was later renamed to Tap 7 My Original to draw attention to the brewery’s now varied selection, including Tap 6 My Aventinus (Bavaria’s first double wheat dough), and Aventinus Edelbrand, a beer that’s reportedly 42% alcohol. Overall, Weisses Brauhaus is a medium-sized craft brewery to rival the Bavarian wheat beer giants. Few brewers actually have the gall to go against the traditional and legal definitions of what is actually considered beer in Germany. The bearded, tattooed founders of Crew Republic are part of that few. With their motto of “Craft Beer is Not a Crime,” this pioneering craft brewery is responsible for a range of beer that valiantly go against Bavarian brewing traditions. Their pale ale, Foundation 11, is a definite standout. Don’t be fooled by this location’s convenience store look. Inside, you’ll find quite an impressive selection of bottled craft beer from all over Munich and the world. If you’re planning to bring some beers home, this is the place to go. If you have any questions about the craft beers that they have in stock, don’t hesitate to ask the friendly staff as they are quite knowledgeable and friendly to anyone who’s willing to learn a thing or two about beer. With this beer house’s selection of IPAs, double IPAs, and imperial stouts, it’s clear that it’s taking inspiration from the many American microbreweries that have been springing up lately. If they’re available, the 7:45 Escalation Imperial IPA and Roundhouse Kick Imperial Russian stout are definitely worth a try. Along with Crew Republic, CREW AleWerkstatt is intent on breaking the traditions of Munich wheat beer and taking it to delicious new heights. These are a few of the many independent, small, and medium-sized breweries pushing the definition of beer in a place that’s largely known for traditional brews. Bavaria is globally famous as a place where you can sample the greatest beers in the world. And while these craft breweries are challenging centuries-old brewing traditions, they’re also pushing all of Bavaria into a new age of taste. Check our post on some Bavarian dishes you have to try. Bavaria’s traditional wheat beers are already famous enough through the efforts of its largest breweries along with the annual tradition of Oktoberfest, arguably one of the most publicized events in the world. In fact, apart from the live event itself, beer enthusiasts can also enjoy the excitement of Oktoberfest online. Bier Haus, an Oktoberfest-themed title featured among FoxyBingo’s extensive library of games, is a tribute to the rich beer culture of Germany. Apart from the wheat beer itself, this game features images of the traditional dirndl and lederhosen in colorful and modern illustrations to attract newer audiences. It’s just one of the various ways in which Oktoberfest – and Bavaria’s traditional beer culture – are being promoted right now. In other words, there’s no doubt that the world has already heard of Bavaria’s traditional wheat beers. It’s time for the world to take notice of Bavaria’s newer small and medium breweries. If anyone can take traditional beer making methods to the next level, it’s the next generation of Bavaria’s craft beer makers. There are many approaches to experiencing a city – and no wrong ones! Places are like people, they have many layers to them. The surface of the city doesn’t paint an accurate portrait of its persona. There are cities that I thought I’d enjoy immensely for their architecture or interesting history. However seeing them in person, they fell flat. Likewise there are also cities that are deemed ugly or boring but once you get to know the culture, the secret spots, the people, suddenly you’re in tune with the city’s newfound vibrancy. One of the cities that keeps calling to me is definitively Berlin. Our affair started a year ago. I first visited Berlin in October, 2016. Like all first comers I ticked off all major touristy sights. I visited some of the finest museums Berlin had to offer (and they have a lot to offer – over 10 museums)! I got to hang out with Berliners in Kreuzberg, do beer yoga (it’s fun as it sounds), try tasty German brews and dance the night away in Berghain. Like most cities it was only scratching the surface. The second time I visited was exactly a year later, October 2017. Through my conversations with the locals (their English is impeccable by the way) I found out what I was missing out on! Food! Yes, I tried everything that street carts have to offer! Donner, currywurst and to be fair, ten other types of wurst. Much as I enjoy street food, I decided that I need to expand my menu. One of the things that makes Berlin such a great city is that it’s so culturally diverse. So I wanted to experience that diversity through my favourite medium, food. I’ve been told that Prenzlauer Berg has a serious food scene. PB neighbourhood, I was told that it’s like Kreuzberg but for young families (also former residents of Kreuzberg). Due to being a much gentrified district and as such, a perfect scene for a cafés & eateries. It’s a big mix of scenery. From colourful boutiques, green oases, interesting shops, a JR mural (and other great examples of street art) to a wide range of eateries. Hence I booked a food tour through an app called Bitemojo. I never did a tour through an app so I was curious how the whole process would look like. The only thing you need for this tour is an empty stomach and a smartphone! 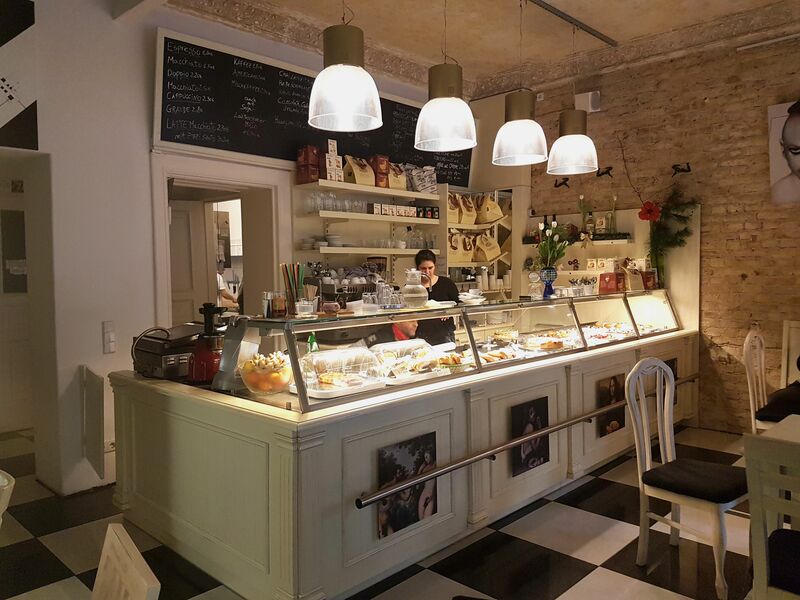 The tour costs 25 euros, and for that price you get 6 delicious bites & 6 hidden gems of Prenzlauer Berg. Get to the starting point and enjoy! Prenzlauer delivered. The tour took me to six different restaurants all specializing in different types of cuisine. 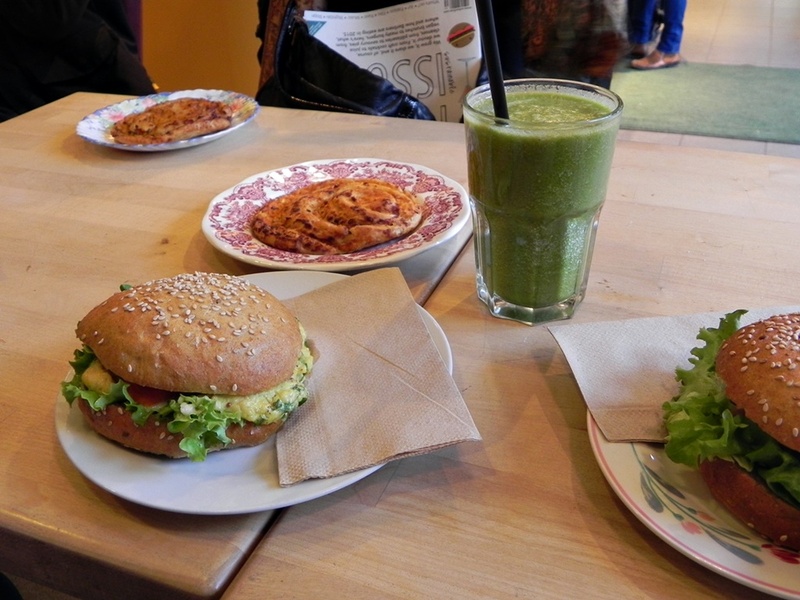 First one was a small restaurant offering some of the best vegetarian/vegan cuisine in Berlin. The owners are a lovely couple from different cultural background. She is from Cagliari, Italy and he is from Dakar, Senegal. As a result, the food they create is a harmonious fusion of influences from both continents. My first bite was ravioli! A perfect example of the African-Italian fusion. The recipe was inspired by the cuisine of Sardinia (as their tomato sauce), but the couscous is Senegalese. From dough to the sauce – everything is homemade! Next stop was my favorite, Pasticceria Mangiarte. The owner Ivan hails from Taranto, Italy. He’s a baker and a painter – and I certainly agree, that his pastries are masterpieces. I had a bigne with Chantilly cream and an espresso to accompany it with. The Chantilly cream melted in my mouth. I had to order some other delicacies and I tried some type of delectable pastry with passion fruit. It was divine, a truly religious experience. The prices are really reasonable (a piece was 1 euro!) and everything, and I mean everything is homemade. Every batter, filling, glaze and cream! Another business owned by a married couple! 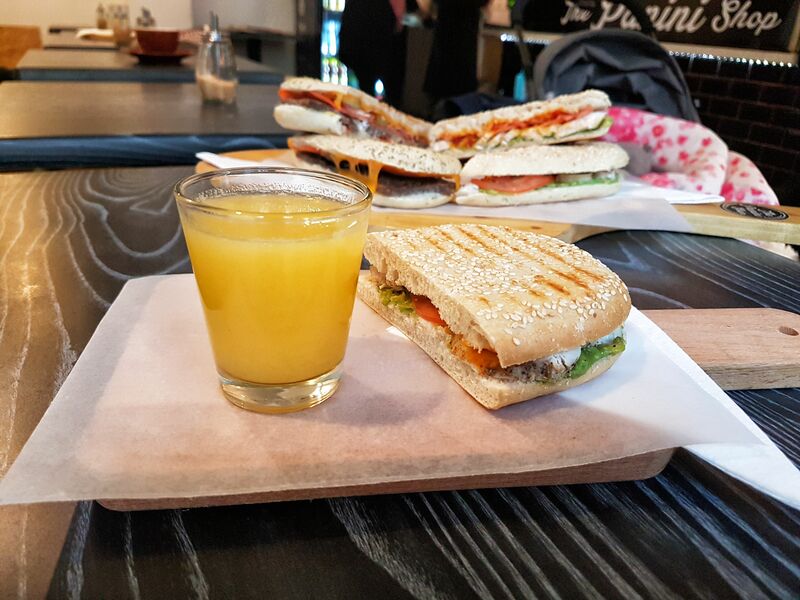 A panini shop, the only store in Berlin that specializes in paninis only! Next to classic Italian paninis they offer their own recipes too. I had their Sweet Chicken on sesame bread and some orange juice. The bread was evenly toasted, the salad was crunchy and not soggy from the sauce (which I hate when happens with paninis) and chicken was perfect. It was delicious. My friend had the Burger panini which was even better. Their menu offers a really nice selection, and for dessert you can get some cookies too. I finished the tour at a cosy café. It offers freshly baked vegan cakes. 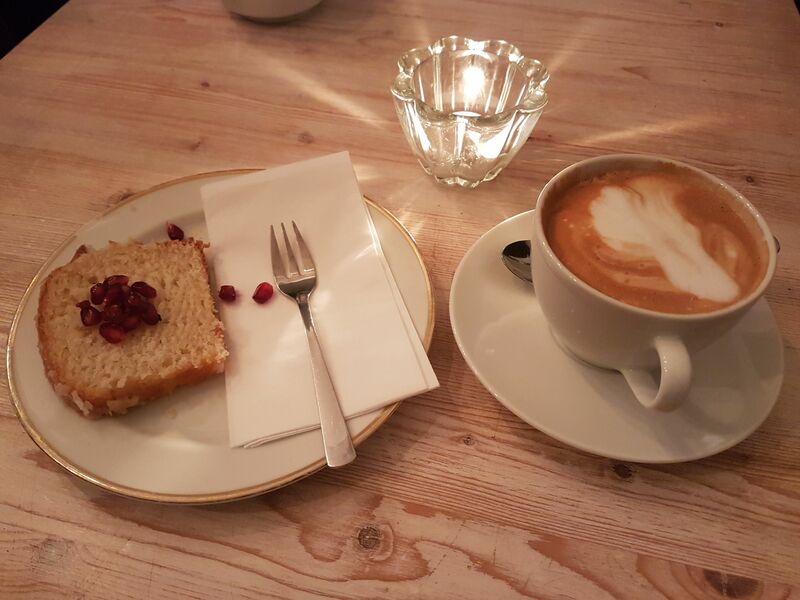 I had a slice of lemon bread with a great cappuccino. It was served with pomegranate. It was a great place to end the tour. The atmosphere is very chill and intimate. Perfect place to wind down. When you’re navigating your way between these amazing eateries, you’re discovering the neighbourhood around you. The map that takes you to your next bite also informs you about the sights that you’re passing by. From Zeiss Planetarium, specialized Swedish candy shop ‘Herr Nilsson Godis’, Helmholtz Square and many other interesting gems off the beaten path. The tour offers all in all 6 bites, but alas I didn’t have luck because two of the places that were on my map were closed that day. 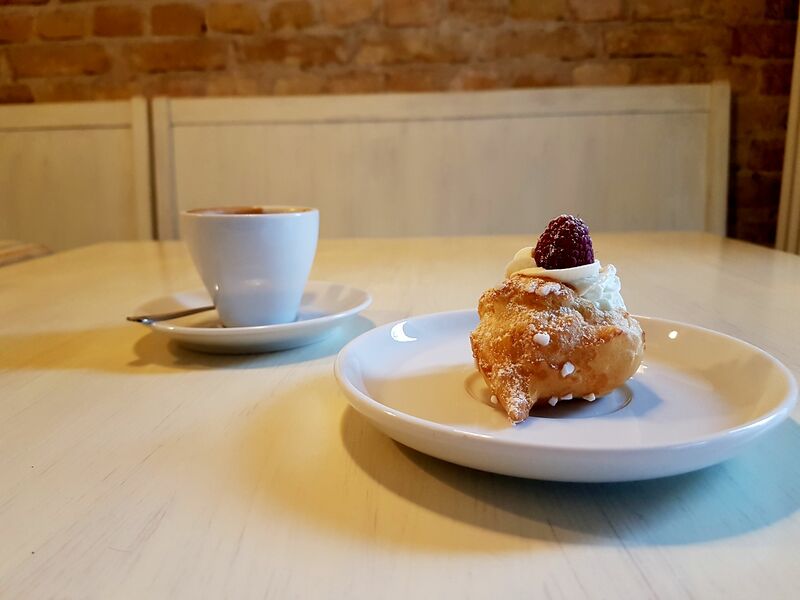 But Bitemojo food tour is very fair and offers you Bitecoin (very clever name) to exchange for a bite at another restaurant of your choosing in Berlin. They have a large list of venues where you can go for a bite! Bitemojo keeps your unused bites valid for 6 whole months! There are a lot of advantages to doing a tour like this. You get to start at what time you want, you can take as much time you wish at a restaurant without feeling like you’re holding up the group. On the other hand, I wouldn’t recommend it if you’re a solo traveller. When I travel alone, I like doing group tours because it usually leads to meeting interesting people that later on you can hang out with for a few hours or go for drinks! If you’re wondering what to do next in Berlin, check out our guide here. This is a guest post by a Berlin-based freelance journalist Rachel Stern. You can check out her official website or follow her on Twitter. Whether you’re seeking new career opportunities or political refuge from the U.S., Germany is a vibrant country for Americans to live and work in. It is expected to add up to 760,000 new jobs by the year’s end, many in marketing or research where native English speakers or people with an international background are in high demand. Nationals of certain countries are allowed to apply for German freelance visa after they have arrived in Germany, however for most countries they require that you apply for one at their local embassy or consulate before coming to Germany. But if you first come to the country as a freelancer, acquiring a visa can be more burdensome — though manageable if you cover all of your bases. Here are my tips of successfully acquiring a German freelance visa, taken from first-hand experience in Berlin at the Ausländerbehörde (or in less intimidating language: foreigner’s office). First, you will need to head to the Foreigner’s Office Website to book an appointment. You can select “Residence Permit for the Purpose of Freelance or Self-Employment — initial Issuance”. This simply means it’s your first time applying for German freelance visa. The freelance status applies to independent contractors, whether a journalist like myself or engineer. As an American, you can come to Germany on a three-month tourist visa, and book an appointment during this time. However, if an appointment does not free up until after this period, you have until the date of your appointment to remain in the country. These need to be in German, and demonstrate specifically how much you will earn per project/assignment or hour you work. But these letters have to demonstrate that you are contributing to the local economy and possess a skill that Germans don’t. Nowadays usually just being a native English speaker won’t cut it, but showing a more specific requirement — such as specifically American English or doing market research for a North American audience — will. In the end, they will want to see that you will have at least 800 euros coming in a month, but this will vary based on the city you’re living. Still, these letters don’t have to turn into paid work. They just have to say that the companies or contractors would be willing to work with you. You’ll need to bring along a CV/resume. Since this is Germany, it can be very long (up to four pages) and also should include a photo, date of birth and place of birth. If possible, bring along your actual degrees, such as a bachelor’s, but if you don’t have these, a copy (as I used) is usually fine, especially if translated to German. They will also want documents they can easily scan: I brought along a few copies of articles I had written, but graphic artists can also scan their designs for example. It’s illegal to live in Germany without it so you’ll need to bring proof of it along. However, this presents a Catch-22 if you’re applying for a visa for the first time. Most health insurance requires a work permit to receive it, yet you need a work permit for health insurance. How do you get around this? You can first acquire short term health insurance through Care Coverage or Mar Vista. Women also need to have insurance that includes pregnancy coverage, whether or not that is part of their future plans. You will find Financing Plan and Capital Budget Plan forms on the website you apply for your appointment. Usually you can leave big chunks of the form blank, such as staff expenses. But you can include day-to-day expenses, include health insurance if you have private coverage. This registration document just shows that you have registered your address. You can make an appointment here or simply show up at the office of the district you are living along with your housing contract. Another Catch-22 is that you will usually need an Anmeldung before becoming a Hauptmieter, or the main person on a housing contract. But you can often sublet a place or join a shared flat (WG) without one. Usually you have to register for an account in person with your Anmeldung on hand. But you can also sign up for one from afar at Deutsche Kredit Bank. It helps to show you have a sizeable amount of savings in here (I’ve heard the ‘magic number’ is 4,000 euros but this varies) and/or that you have steady income. I personally printed out bank statements from the past year in order to demonstrate this. Note, though, that your facial expression in these has to be neutral. My first application was turned away because of my smile. I did not look so happy in the next ones I submitted. This fascinating city has it all. History, architecture, art scene, green areas, awesome bars and cafes, food and many other things to keep you around the clock. It’s not the prettiest but it’s energetic and that’s what makes it so special and interesting. Therefore, if you’re planning a visit to German capital be sure to bookmark this Berlin Travel Guide 2017 edition. Berlin WelcomeCard – Berlin is huge and spread out city so public transportation will be a necessity. With the Berlin WelcomeCard you’ll also get a city map, a guide and 200 discount deals. On offer are 48h and 72 hours but also 4,5 and 6 days passes. You can also read my review of the pass. Alexander Platz and the TV tower – Berlin’s most famous square is a crossing point in the city. You can visit the TV tower and enjoy the panoramic views of the city. Nikolai Quarter – the oldest historic area of Berlin with medieval lanes and many restaurants and cafes. Hackesche Höfe – Berlin’s courtyards designed in Art Nouveau style. Lots of nice bars and restaurants in this area. Berlin Cathedral – The largest church in the city. And also one of the most photographed places. Unter den Linden – A very long boulevard in the Mitte district with many attractions along the way. Leads all the way to Brandenburger Tor. Brandenburg Gate – The symbol of the city. Reichstag – You can visit the German Bundestag and its dome which offers a great panorama of Berlin. However, you need to register your visit and the best way to do it is online by clicking here. Make sure to also snap a photo or two at the Platz der Republic – the huge lawn in front of the Reichstag. 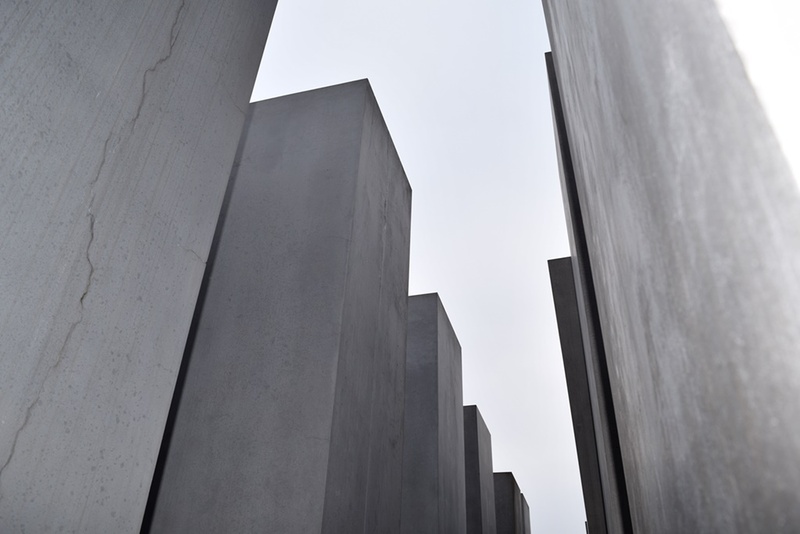 Holocaust Memorial – This monument that consists of 2,711 concrete slabs is dedicated to the Jewish victims of Holocaust. 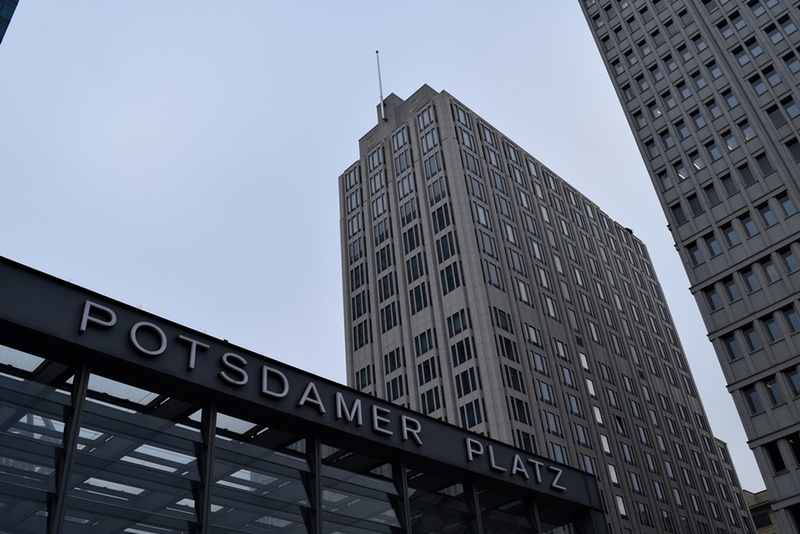 Potsdamer Platz – Urban architecture. Berlin Wall Memorial – Visit this central memorial site of German division which is located in Bernauer Strasse. There’s an outdoor exhibition and the Documentation Center with rich material and an observation tower. The entrance is free of charge and the listening stations are spread along the former border. East Side Gallery – The longest section of the Berlin Wall with 105 paintings from the artists around the world. Checkpoint Charlie – The most famous border crossing point between East and West Berlin. Museum Island – An island on the Spree river which is a home to five world class museums. Charlottenburg Palace – The largest palace in Berlin. Kurfürstendamm – the Champs-Élysées of Berlin. Filled with shops, houses, restaurants and hotels. Especially nice and atmospheric in the evening. 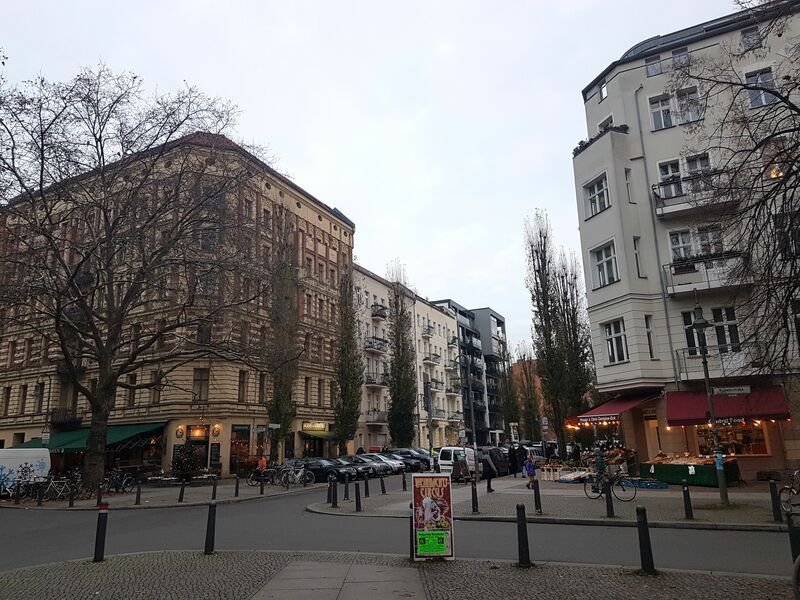 Friedrichshain – Berlin’s artsy hub and a very popular place for nightlife. Museum Pass – For 24 EUR you get a free entrance to 50 museums for 3 consecutive days. I recommend this pass if you’re making a second visit to Berlin or if you’re staying for more than a week. Otherwise, it’s better buying a separate ticket. Pergamon Museum – Berlin’s most famous museum and a new home to the Ishtar Gate and other Babylonian treasures. Pergamon is under renovations until 2019 and the waiting hours are long so you may want to get a time slot ticket. Neues Museum – My favorite museum. Very rich exhibition of Egyptian culture and the Early History. Museum’s most famous treasure is the Nefertiti Bust. Besides exhibitions, the building itself is a beautiful piece of art. 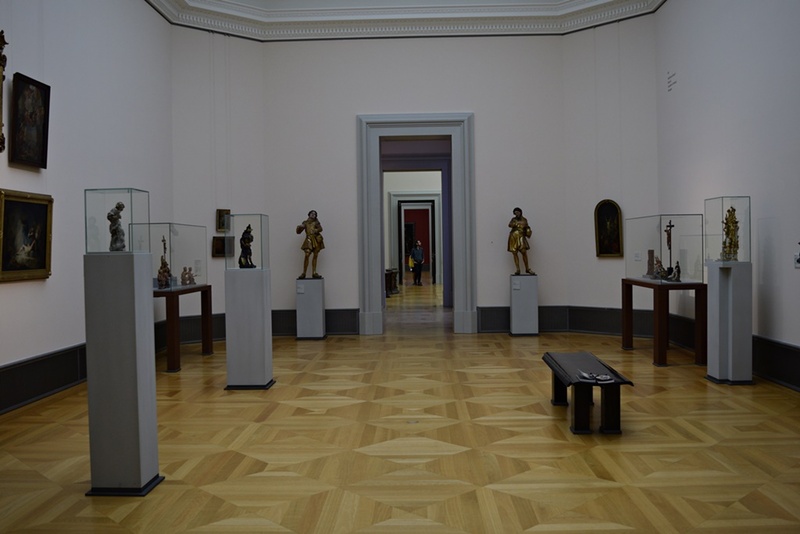 Bode Museum – This beautiful museum at the Museum Island offers rich Sculpture and Numismatic collection. DDR Museum – An interactive museum which showcases life in East Germany. Great for history buffs! The Natural History Museum – The world’s largest dinosaur skeleton, found in Tanzania in 1909 is exhibited here. Berlinische Galerie – Museum of modern art, photography and architecture. Must see! I use Booking.com to search for accommodation across Europe. Through their website you can find hotels, apartments, hostels etc. Hotel Mani – I absolutely love this place! Hotel Mani has an awesome decor and it’s one of the better boutique hotels in Berlin. Berlin’s cuisine is rich and has an incredible international offer as people from all over the world made this city their home. 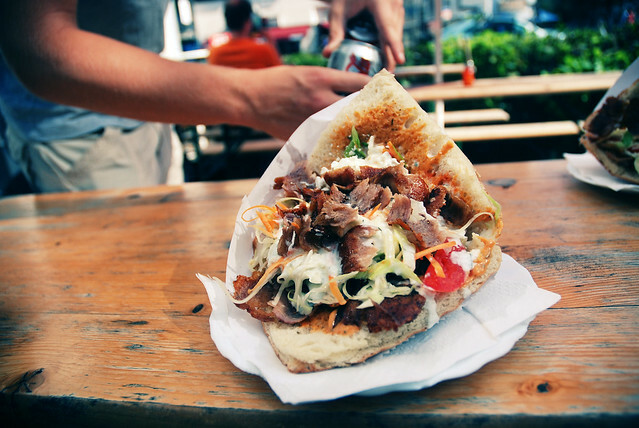 For more detailed info check out this post on where to eat in Berlin on a budget. Curry 36 – A place to try currywurst. 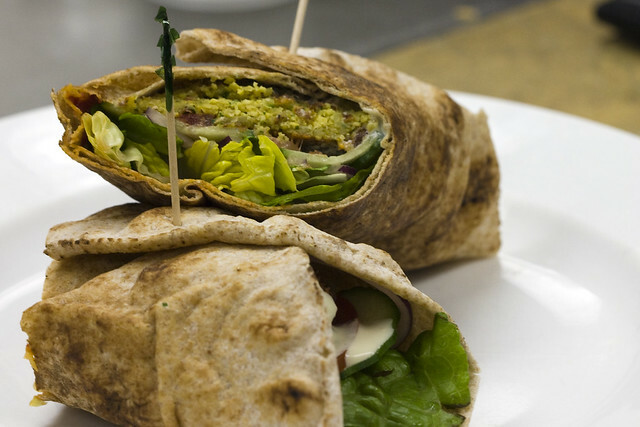 Mustafa’s Kebab – Be ready for a long long wait! 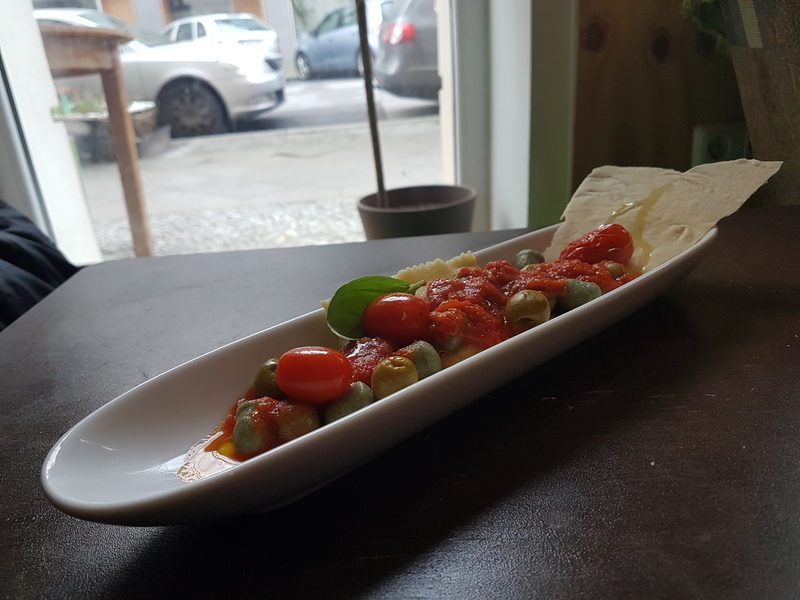 Dada Falafel – Middle Eastern restaurant in Mitte district. Veganz – Vegan store with a small bakery and a cafe. 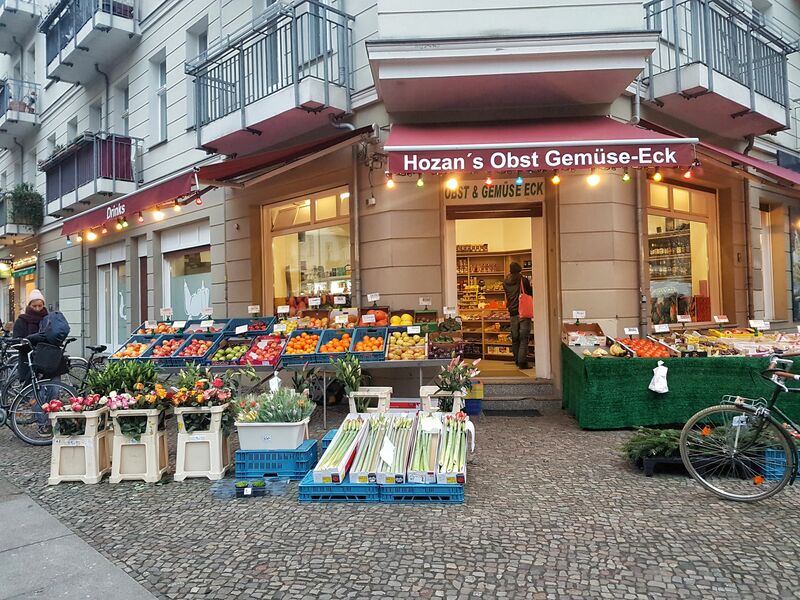 Marheineke Markthalle – Located in Kreuzbeurg neighborhood this market offers meat, cheese, fish, fruits, vegetables etc. Burgermeister – The iconic burger joint. Babel – One of the best Lebanese restaurants. Big portions, tasty food and a great value for money. KASCHK – This is my favorite place at the moment. Great for coffee during the day. Awesome selection of craft beers. Cool vibe at night. Shuffleboard. Love love love! GROSZ – If you want to have a drink or two in an elegant and historic setting come here. Eschenbräu – A popular beer garden in Wedding famous for producing its own beer. There are 21 types of seasonal beer. Try Rauchbier or Black Mamba. 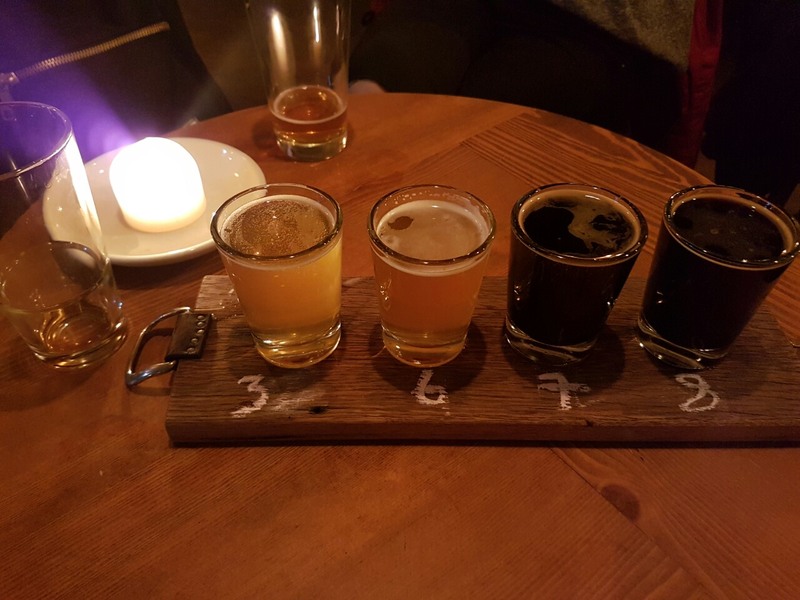 Vagabund bar – Small and artsy bar with great selection of beers. Weinerei – An interesting place to hang out. Good place for wine but they also serve coffee, tea and a vegetarian lunch menu. Mein Haus Am See – Popular among hipsters and freelancers who come here to listen to good music and socialize. House of Weekend – Techno club with a rooftop terrace that offers an amazing view of Alexanderplatz. Kantine am Berghain – Everyone has heard about Berghain, Berlin’s legendary club. Kantine am Berghain is a smaller club which hosts many cool musical events. You can check their FB page for a list of events. Cassiopeia – An alternative club with a big garden in the summer. There are parties for everyone’s taste – from hip/hop, reggae to pop, indie to rock. Berlin Philharmonie – One of the best orchestras in the world. And not only is this a musical venue but also an architectural highlight. You can even go on a guided tour of the place. KulturForum – A collection of cultural buildings including the Berlin State Library and the New National Gallery. The State Opera – Another famous cultural institution on the Unter den Linden boulevard. Guided tours are on offer as well. Intimes Cinema – One of the best art-house cinemas in Berlin. Program also includes new releases and foreign language films. Zukunft am Ostkreuz – An open-air indie cinema. 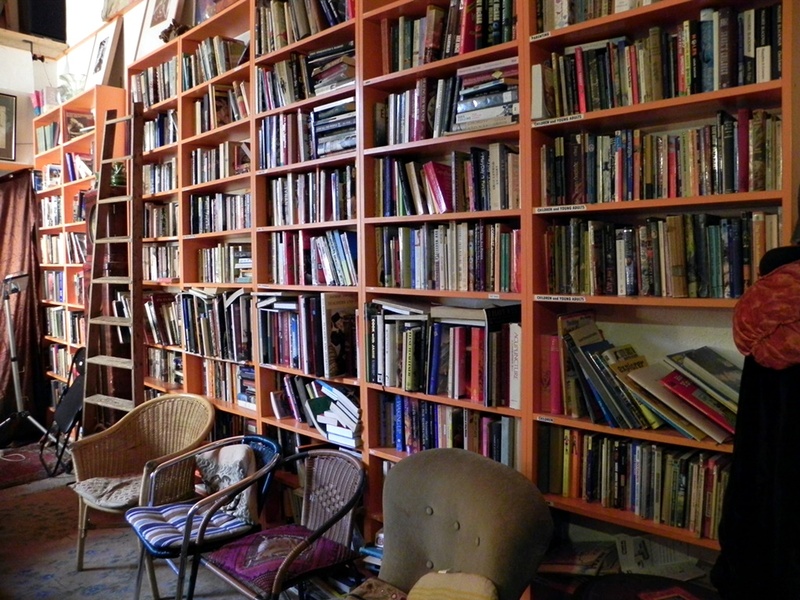 Bookshops – Berlin has many fantastic second hand bookshops selling English and French titles. Tiergarten Park – One of Berlin’s biggest parks/forests. Very popular among tourists, joggers and cyclists. Schlahtensee – Berlin has many lakes and this one is especially visited at Summer. Tempelhofer Feld – A public park at the old Tempelhof airport. 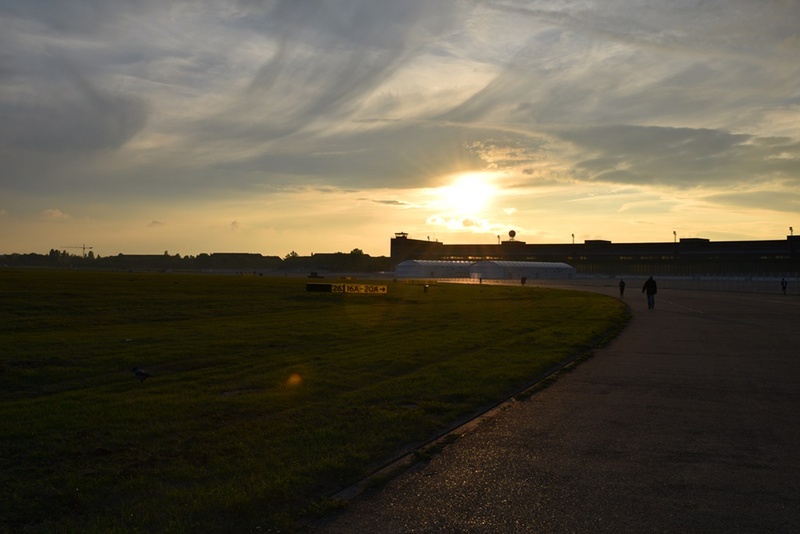 Tempelhof Airport is one of the largest buildings in the world and there’s a 6 km long trail ideal for walking and cycling. Locals love to hang out here and there’s even BBQ space. Grunewald and Teufelsberg – This forest in the southwest Berlin is great for hiking. The Botanical Garden – With more than 22,000 types of plants, Berlin’s botanical garden is one of the most important in the world. Treptower Park – One of the biggest parks in the city and also a home to the Soviet War Memorial. Strandbad Wannsee – The largest inland lido in Europe with many recreational activities on offer. Mauer Park – Famous for its flea market and outdoors karaoke. Badeschiff – Swimming pool on a river Spree. Memorial to Homosexuals Persecuted Under Nazism – You’ll find this monument at the entrance of Tiergarten park. Schwules Museum – A museum exhibiting LGBT life in Berlin. 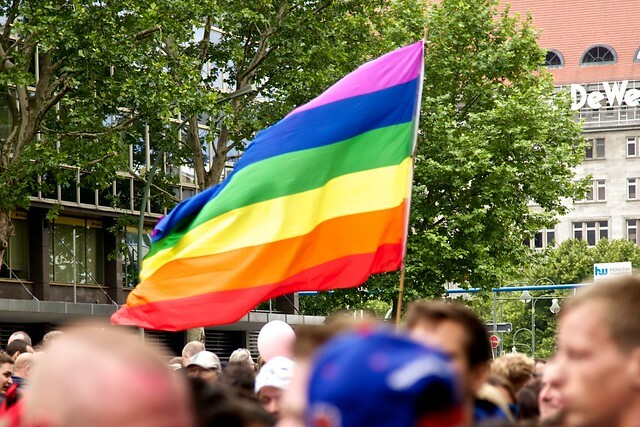 Christopher Street Day – Germany’s largest gay festival. SchwuZ – Great partying place with 3 different dancefloors. 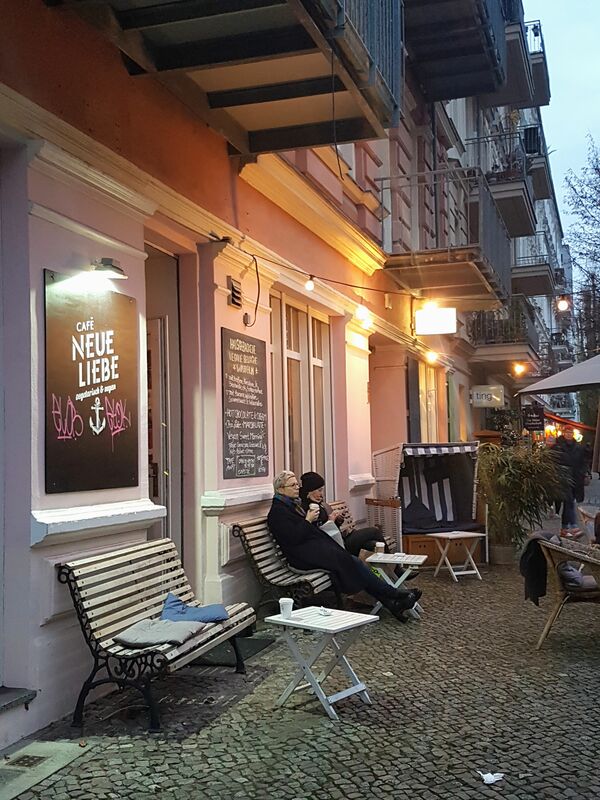 Queer Couchsurfing Berlin Meetups – Well, the name says it all. The Club – A gay bar in Neukolln. Travels of Adam Berlin Guide – Adam is a travel writer based in Berlin. I totally recommend his website if you’re into alternative culture and if you want to find out more about LGBT travel tips in Europe. KaDeWe – A well known department store. It mostly caters to luxury shoppers and it has a nice gourmet area. Mauer Park – Hosts weekly flea market. 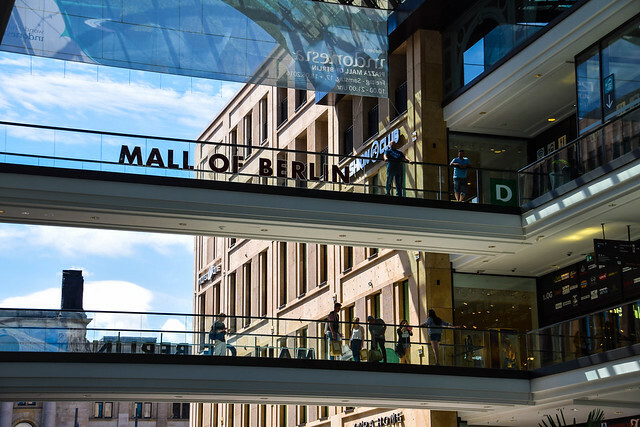 Mall of Berlin – A shopping mall with 270 stores. Berlin Story – A souvenir shop on Unter den Linden. Galeria Kaufhof – Another regular department store. Berlinale – One of the world’s leading film festivals. Pop-Kultur – An international cultural festival. Christopher Street Day – Berlin Pride festival. Festival of Lights – The city and its landmarks get transformed during this annual festival. ITB – The world’s largest and most respected tourism convention. Potsdam – If you have some days to spare go to Potsdam and see amazing palace of Sanssouci and its stunning gardens. If you are looking to visit Serbia and flying on a budget and vice versa (going to Germany) you might consider Ryan Air’s line between the two cities. This was also my first RyanAir experience as they’ve started their operation in Serbia just recently. I was really curious about this flight as the customer reviews about RyanAir are really low and I wanted to compare them to WizzAir. I’ve booked the ticket two months earlier and got it for 30 EUR both way. Bargain! 🙂 But I’ve heard people paid even less than this. All you have to do is play with the dates. Hopefully you’ll find my Ryanair Nis experience useful when planning your trip. First of all, make sure you print and bring your boarding pass with you! If you forget it you’ll pay 15 EUR for the reissue. If you forget to check in online, the airport check in fee is 45 EUR. During the check in process you’ll be asked if you want to pick a seat or have it randomly selected for you. The standard seat selection costs 8 EUR per flight. I’ve let RyanAir pick a seat for me randomly and I got one in fourth row. Seats from the 2nd to 5th row are actually priority seats and they cost 13 EUR per flight if you decide to reserve one. This isn’t that bad as it will allow you to leave the plane quicker. If you buy the seat you can check in 30 days prior to departure. If you want it automatically assigned you can check in from 7 days to 2 hours before departure. Before finalizing the check in process make sure that no extra things were added that you’d be charged for. There are a couple of ways to get to Nis. First of all I advise you to check the website of the Belgrade Bus station and their timetable. This will help during the planning process and while matching the right bus. I’ve used Nis Express many times on this route and while they’re not the most comfortable option they get the job done. The tickets are cheap and they have the biggest number of departures (23 daily), which was the key reason to choosing them. Another option I know of is a shuttle bus company offering transfer between two cities. I’ve never used them but they are listed on the website of Nis Airport. I’m listing them as an alternative but if you have any experiences with this company feel free to leave a comment describing your impressions. The price of one way ticket for the date I picked was 2460 RSD. In comparison return ticket with Nis Express is 1400 RSD. From the bus station you can go the airport with a bus 34B or get a taxi which is very cheap. This is a very small airport with just one terminal building. Check-in counters are located here. If you have a printed boarding pass and a carry on luggage you don’t need to go to the bag drop counter. I use Cabin Max Metz backpack when flying with low-cost carriers. You can check my full review of the bag here. Now, I want to emphasize something when it comes to passport control to which many people don’t pay attention to. I advise you to get travel insurance. They’ve almost didn’t let a girl board a flight because she didn’t have it. I’ve been asked about this in a small number of occasions but you never know when it might happen. It’s not mandatory but officials of any country can ask for other supporting documents. The boarding gate is small and crammed with many people. There’s a small duty free shop here. If you arrive to the airport early you can waste time at the airport’s restaurant which is the only option you have here. The airport’s restaurant is very cheap so I’d suggest having a snack before boarding the plane – because there are no meals included at RyanAir’s flight. It’s located before security. There are no other shops at the airport and nothing fun to do around. The flight departed around 1 hour later but this is typical for low-cost carriers. Note that if you experience a two-hour delay you can apply for a refund or change your delayed flight for free. The seats are not the most comfortable ones but they are okay for a 2 or a 3-hour flight. You’ll see advertisements everywhere. Their inflight magazine doesn’t have any interesting articles, it’s all ads! Besides food and beverage, flight attendants will try to sell you perfumes, watches and other merchandise. The food on board is not free so be ready to pay as I previously mentioned or get something at the airport. RyanAir does the job of taking you where you want to go for a very cheap price. This reflects the service, the number of ads, punctuality etc. Considering that you’d be using RyanAir for short flights this should be easy to deal with. Just pay special attention to all the extra fees. At the moment the only two airlines flying from Nis airport are WizzAir and RyanAir. You can check destinations and their timetable here. This dish consists of pork sausage which is cut into slices and seasoned with tomato sauce and a curry powder on top. It often gets served with the French fries but you can also opt for a bread instead. The best place to try it is at Curry 36. It’s very popular among locals and there’s a little standing patio area where you can even bring your own drinks. This is an authentic Berlin fast food stall and in my opinion, a must for the first time visitors. They even have a bio currywurst on their menu. 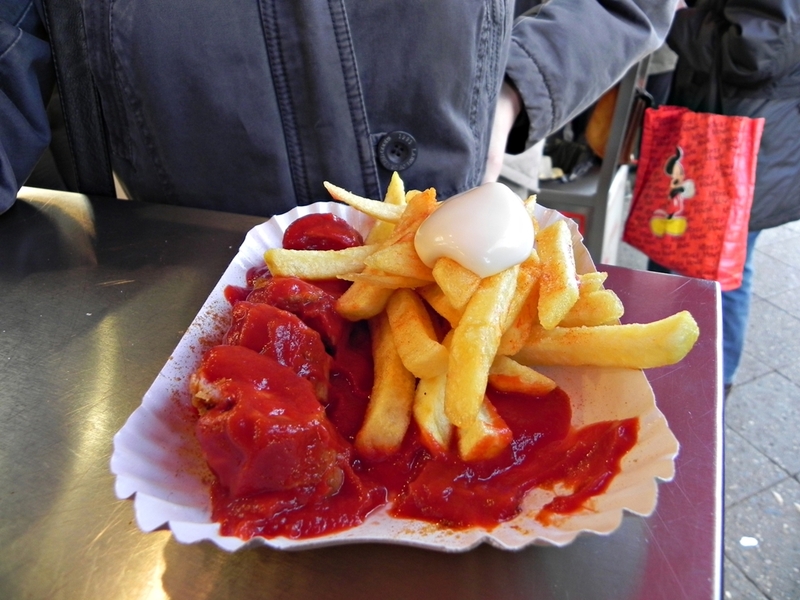 The Currywurst museum in Berlin estimates that approximately 70 million currywursts are eaten in Berlin alone every year. Konnopke’s Imbiss in Prenzlauer Berg (This was the first outfit in East Berlin to serve currywurst. Opened in 1930 and it’s still family-owned to this day). Berlin is a great city for vegetarians and vegans and some popular fast food options include veggie burgers, tofu currywurst, organic fries, seitan sausage and more. Veganz in Prenzlauer Berg (This is actually a vegan store with every vegan product you might need but they also have a small bakery and a cafe with great vegan desserts!). With Locals is a website where local people can offer their skills to travelers. This includes preparing authentic and delicious food! I love websites like this because they bring people together through food and experiences and it’s great for socializing when abroad. Berlin chapter has a lot of experiences on offer and a rich selection of different cuisines so I genuinely recommend this website next time you’re in town. Have any other suggestions? Feel free to comment below.